I’ll be honest with you, I don’t completely understand 3D printing. I don’t get how the process works and I don’t know how we end up with the solid objects that we do but, blimey, it can be impressive. 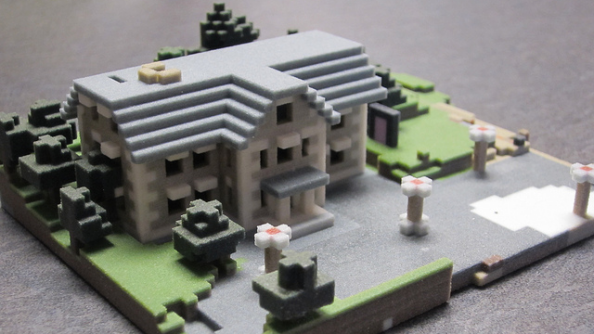 Now, a program called Mineways allows you to export anything from your Minecraft world and (for a price) see it brought to life by the 3D printers at Shapeways with some quite beautiful results. 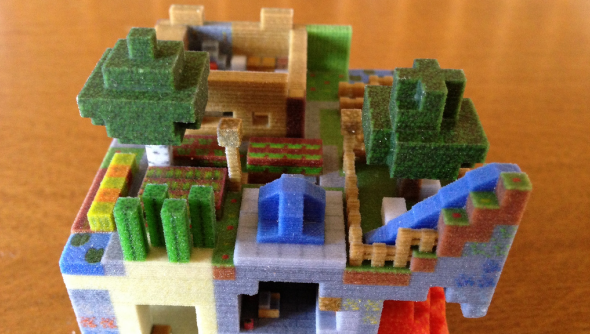 Our readers on the other side of the pond might be interested to know that the team behind Mineways are running a competition for Minecraft players in the US and Canada to win a $300 Shapeways voucher and one of those Xbox 360 things. Click through for details and for some more lovely models. Entering the competition couldn’t be simpler, all you need to do is build a Minecraft structure that’s related to something from Mists of Pandaria, export it using the Mineways program and then send it off to the team working at Shapeways. If you’re in need of some inspiration, you might want to check out the recent 1:1 recreation of Azeroth in Minecraft. There are more details about the competition here on the Minecraft forums. You can grab a copy of the Mineways program for free from the official website and start using it right away, submitting layouts for 3D printing whether you want to be part of the competition or not. What will they look like? Here’s a modest example courtesy of the Post-Apocalyptic Research Institute, on Flickr. Of course, getting your creations printed is going to set you back a few dollars and, depending upon the size of the piece and the printing material used, it could get very pricey very quickly. 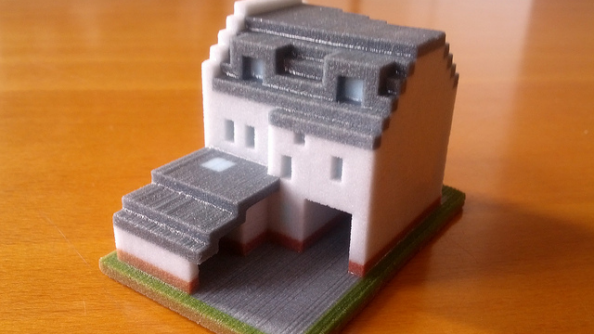 As an example, the Mineways website says a typical order can see customers paying $6 for every thousand blocks of that their creation is made from, plus delivery costs, and they suggest that $50 could get you a 3D printing of a something made from around 6750 blocks. Naturally, you add a few more dollars for overseas delivery. A thousand blocks may sound like a lot, but any Minecraft structure that you’ve spent a few hours building is probably much larger than that and you may need to factor in the surrounding landscape. As an example, how many hundreds of blocks do you think are in Eric Haines’ Admiral Benbow Inn, above? 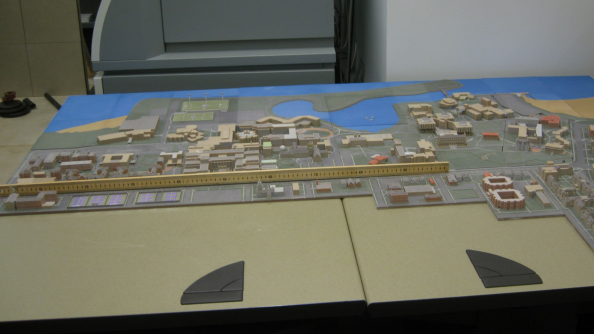 Not as many as are in the 3D print of Chicago’s Northwestern University, based on a design by Ben Rothman. The church above is just one small part of it. Want to see the rest? Yes, that’s a meter-long measure there. For much larger pictures than we can feature here, have a look at this gallery of the print. I wouldn’t advise you place an order for something this large. Not seen enough yet? Have a look at the Mineways collection on Flickr.